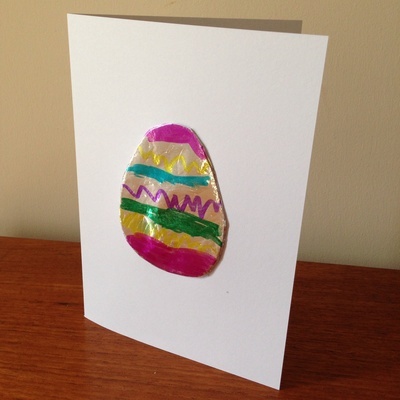 This metallic Easter egg card is easy to make. 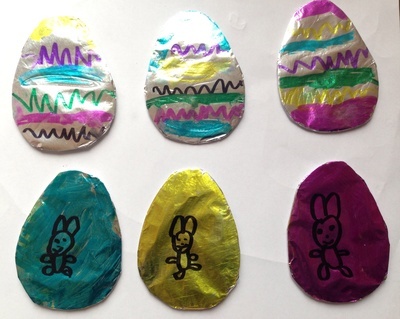 My kids really enjoyed drawing on the aluminium foil with Sharpie pens. 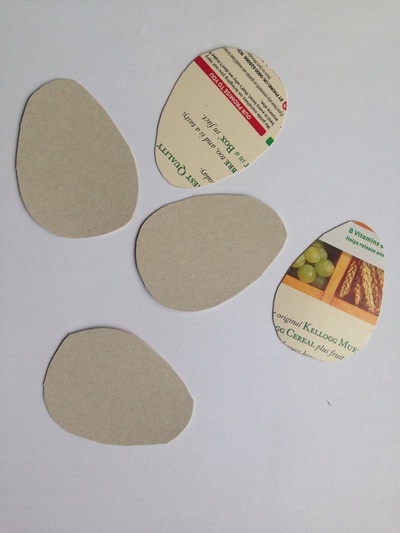 Cut egg shapes out of the cereal box. 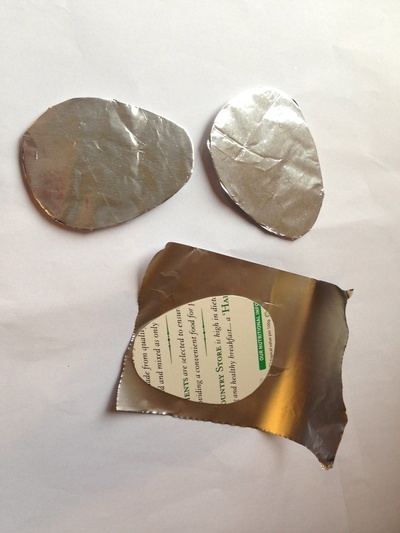 Cut out a small square of aluminium foil and cover the cardboard egg with the foil, pressing the edges over the back of the cardboard egg. 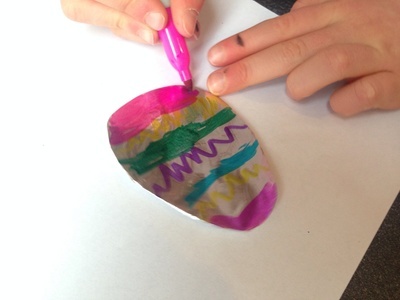 Decorate the foil egg shape with Sharpie pens. 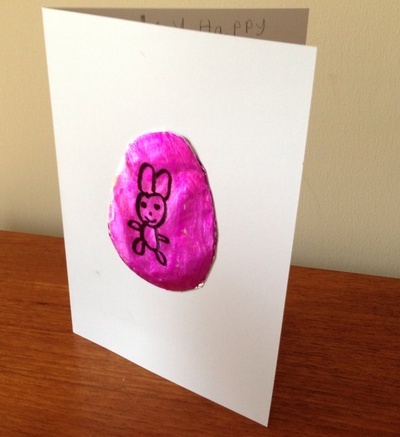 Glue the decorated egg shape onto a folded piece of white or coloured card to complete your greetings card.